Solution inside may seep from the mouth so please check beforehand., Solution inside may seep from the mouth so please check beforehand., Solution inside may seep from the mouth so please check beforehand., Solution inside may seep from the mouth so please check beforehand. The bins are solid and durable, with memory so it's easy to see the amount at a glance. As it is small and light, it is very convenient to carry. This review is about item#33142383. How far is it oil resistance, including the degree of sealing is about 1 month Wakaran. The memory is off and it is good to roughly measure it. The price is also cheap. This review is about item#33142374. There was no particular problem. It is the same as ordering through an agent of RIKEN. This review is about item#33142471. It was used as a divided container. It has a wide mouth and is lightweight and has a scale display, and it was used for storing the functional fluid in portions. Since it is a type without a stopper, its hands do not get dirty when opened and it is very good. Even without a stopcock, there is no concern about sealability. 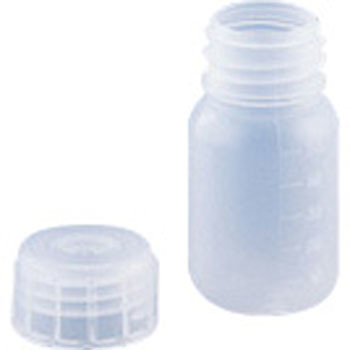 I think that many bottles of this type are valuable items as they are of the inner plug type. This review is about item#33142392. It was used for storing small amounts of detergent at the site, but it is good to be light. However, it is a bit weak. I have a cowardly worker, but I grasp it and I am transforming it. Well ~ Even if it transforms, it returns to the original, so there is no big problem, but half things say that it is hard to hold and easy to grasp. This review is about item#33142401. It is convenient to use for repeated cultivation of orchids, and I like the economically advantageous products very much. Light, leaky, good. Better if the memory is black. It is used when shipping paint in small portions. Compared with putting other manufacturer's goods and paint and comparing it, changed paint to this article because paint was hard to spill. There is no liquid leakage. It is the most wonderful of the containers I have used. I want a wider opening.